Justin Vernon was the front man for a couple bands (Mount Vernon and DeYarmond Edison) in the Eau Claire, Wisconsin area, but has struck out on his own with a new project he’s calling Bon Iver. Its French, and spelled wrong on purpose. According to Vernon, no one really needs silent H’s. So you say it: Bon (as in ‘bon’ voyage) Iver (e-ver). Vernon sings in a perfect falsetto over sparse folk backgrounds on a lot of tracks, but opens it a bit more naturally on this one. 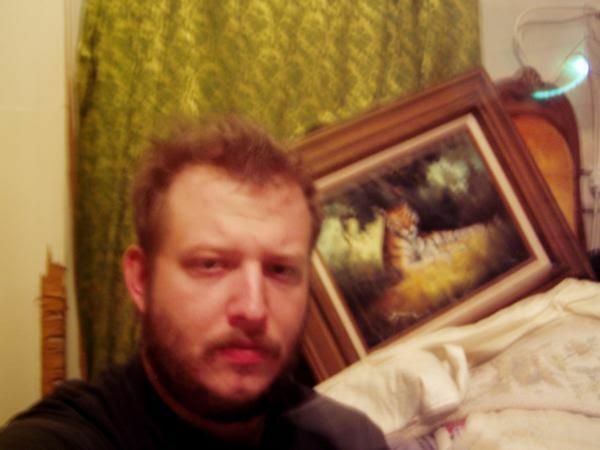 You can hear the rest of the tracks at Bon Iver’s MySpace. Justin spent much of the last year touring with one of today’s previously mentioned band, The Rosebuds. He is releasing For Emma, Forever Ago on July 8th at The House of Rock in Eau Claire. I saw Justin Vernon here in Eau Claire yesterday, and he brought Land of Talk and the Rosebuds with him. All three put on great shows, and I’ll remember it for a long while I’m sure. JONK.If you got the cd at that show it woudl be a really good idea to post it.No one has it available for download. The December 30, 2008 Wall Street Journal (page B2) about Vernon referenced this blog entry.